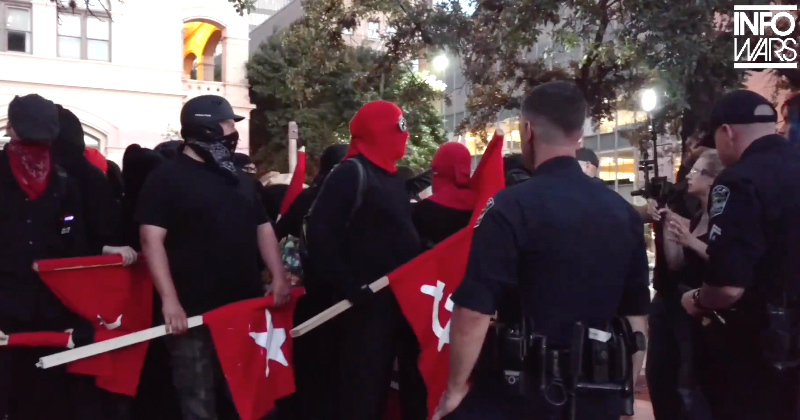 AR: Is Antifa an Al-Qaeda Associated Force? Is Antifa an Al-Qaeda Associated Force? The Pacific Ocean could soon burn with thermonuclear heat, as North Korea promises to conduct a nuclear test in the middle of the water. President Donald Trump could very well find himself in the Korean Demilitarized Zone when the bombs start flying, testing our nation in ways we can only begin to imagine. On the domestic front, as is typical during time of conflict, there will be opposition to the war effort, some of it virulent. Atypical, however, will be the way in which the enemy will be able to recruit in the Homeland, that is using new technologies once unimaginable even in science fiction films. Smart phones and encrypted apps will make it possible for North Korean agents to direct members of the anti-war crowd, who will be composed primarily of Antifa, a radical organization with loose ties to the Islamic State. In the coming months, America could plunge into civil war, and Antifa will commit sabotage in the Homeland at behest of not only ISIS but also North Korea. 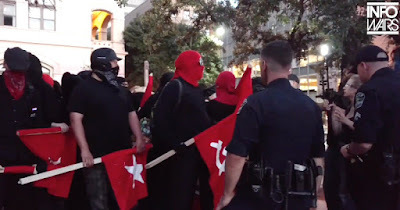 There is absolutely zero probability that our enemy will not exploit the use of encrypted apps by Antifa while it furthers its anti-American goals. Should war break out on the Korean Peninsula, and if Antifa begins to sabotage the war effort, President Trump should not hesitate to label them an Al-Qaeda associated force just like ISIS in order to facilitate their military detention. Soon, the Supreme Court will determine the legality of military commissions in Guantanamo. It may very well be decided that they were not only legal, but that the President should use them on a more broad basis, even for individuals detained in the Homeland should it be determined they communicated with the enemy.